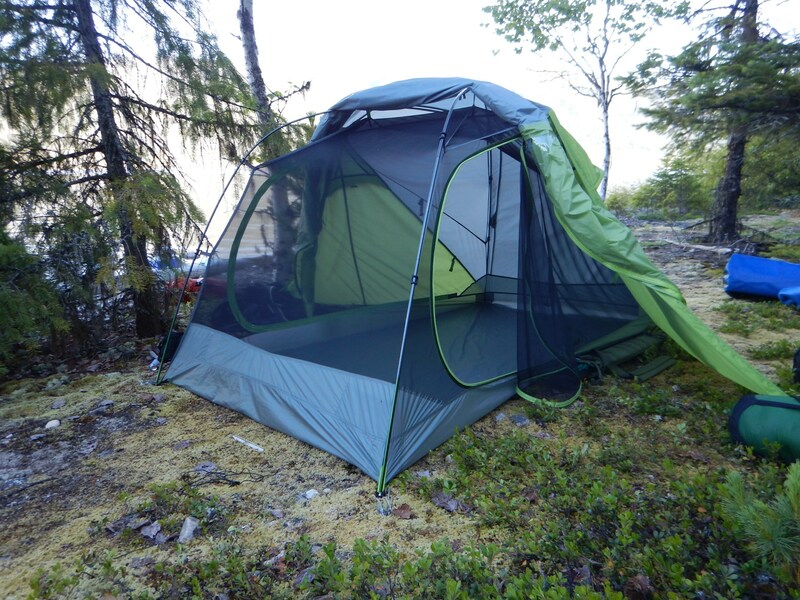 After many years of use, we decided to retire our Sierra Designs Meteor Light 2 tent in 2014 and move onto something that was smaller and lighter. As the Sierra tent weighed in at over 6lbs, it was definitely a heavy weight in the world of two person backpacking tents. It was roomy with lots of interior space and little extras, such as gear stashes, but it was becoming a chore to pack it on long trips. Plus it was starting to show wear and tear from all the use we have put it through over the years. 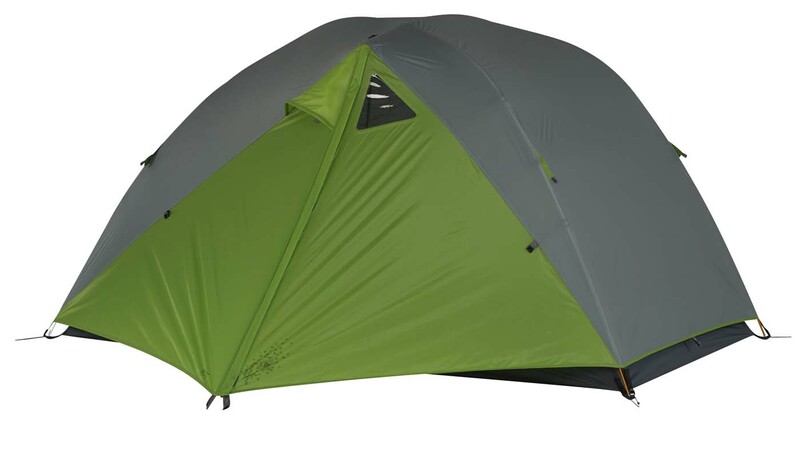 Reading reviews led us to the Kelty TN2, which had also just been named Backpacker Magazine’s 2014 Tent of the Year in their gear guide issue. Online reviews from other sites and vendors led us to pull the trigger and make the purchase from rei.com. 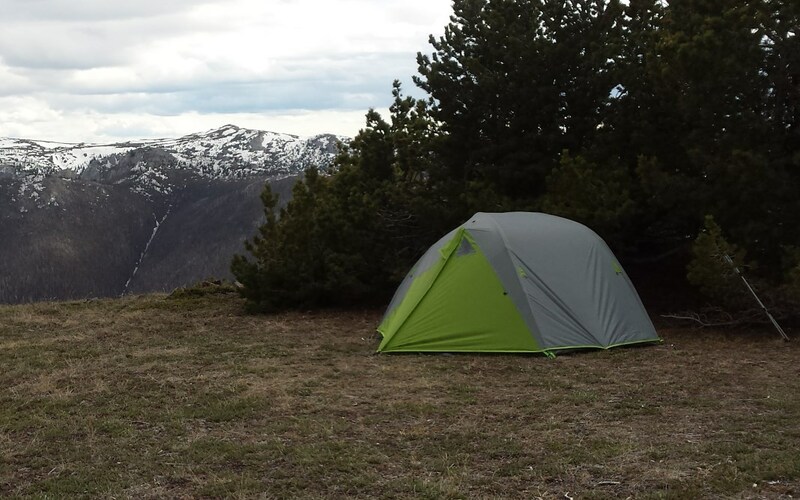 As anyone who spends time in a tent will tell you, a tent is one of your most important pieces of gear and there are a number of considerations to making a tent purchase. Price is obviously one consideration but in our opinion, there are other factors to consider that are more important. 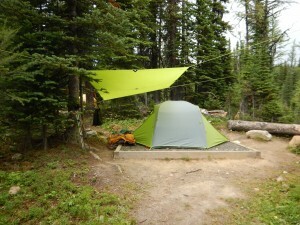 Here are some of our thoughts on what to look for in a tent. Water resistance/weather resistance: You’re going to get rained on, and it’s not uncommon even in the middle of summer to get snowed on in the higher altitudes. Do you want to stay dry? Does it support guy lines for really windy weather? Weight. If you’re car camping, it doesn’t matter if your tent weighs 18lbs, like our car tent does. But if you’re packing a tent a long ways on your back with all the rest of your gear, this is an important consideration. Roominess: How big you are is definitely a consideration. If you’re over 6 feet, you’ll need a longer tent. 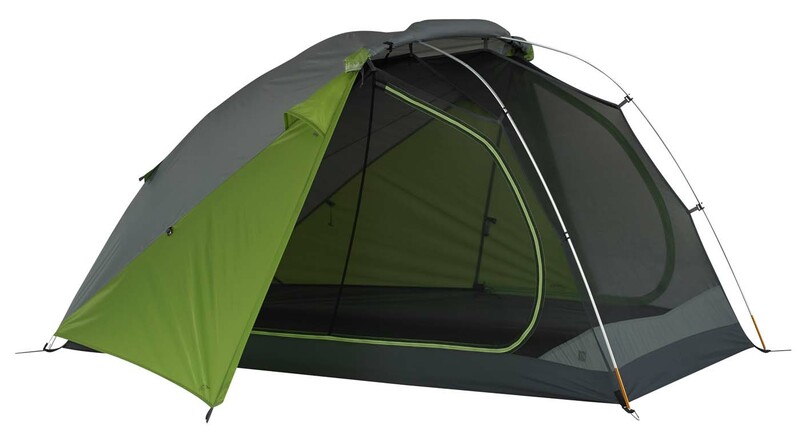 Tents specs include square footage so it is something to think about. Also, how many people do you need it to fit? The bigger the tent, the more weight it will be. Ease of setup. You will have to set this up in the rain someday. How quickly and easily can it be done? All season or three season. Tents designed for winter use are obviously heavier, so if you don’t expect winter camping, a three season tent will be fine and save a lot of weight. You can in fact use a three season tent in the winter but they tend to be not as warm and not as capable of holding up lots of weight if you get snowed on. There are other things to look for such as gear stash pockets, windows, roll back flies, free-standing, and more, but the above list are my most important features to look for. One of the things about buying a tent is that until you actually get it in the field, you’re relying on third party info and sometimes something that is held in high regard just doesn’t fit for you. With that in mind, we ordered the tent and a ground sheet from rei.com since it was on sale and Raegan had accumulated some additional discounts from previous purchases. A little aside; REI’s shipping department seemed a little confused. We received the tent and the ground sheet on time as expected and the box with the ground sheet was properly marked, but surprise! There was a nice Osprey backpack in the box. Raegan’s call to REI customer support determined the backpack was meant for someone else but they just told us to keep it as it would be a hassle to return. I guess somewhere out there someone got a ground sheet instead of a backpack. REI did tell us the sheet was back ordered and would be shipped as soon as it was available. Within a week, we received a parcel which was the sheet. Days later, we received an email that the sheet had shipped. The next week, we received another ground sheet. Not bad for $39; two ground sheets and one backpack. One of the other neat features of this tent is the roll back fly. We had never heard of such a thing and admittedly were a bit skeptical, but it has proven to be a nice thing to have. Under the proper conditions, of course. This is a feature that allows you to roll back the fly and be able to enjoy sleeping in the tent on warm and clear nights but still be able to roll the fly back down in a hurry if it starts to rain or gets too cold. Among the other features are windows on each side on the doors and closeable vents. The vents go a long ways in keeping condensation from accumulating on the inside of the fly in damp or cool weather. We’ve had the tent out a number times so far this year and were able to roll back the fly a couple of times overnight. When we canoed on Adam’s Lake, we had perfect clear and warm nights and found this to be a great feature. It still seemed a bit weird to me as I’ve never slept in a tent without the fly and being able to gaze into the dark forest nearby under the moonlight seemed a little eerie while lying in bed. On several of the trips we have had rain and the tent has proven to be up to the task even under windy and rainy conditions. We’ve even had to set it up in the rain and it took only minutes to get it erected with the fly on. As far as setting up goes, Kelty has made it a breeze to be able to set up in a matter of minutes. They use two poles with a quick lock attachment system that lets you easily attach the poles to the tents with very little effort. One pole is connected in the middle on a pivot and makes a cross shape when set up to hold up the mesh of the tent. The second pole goes across the middle above the doors and widens the roof out quite nicely. This makes for a lot of interior head space and there’s plenty of room to sit up and get turned around. As it stands right now, we’re quite happy with the tent. We expect many years and many trips from it and feel it will live up to the promises. 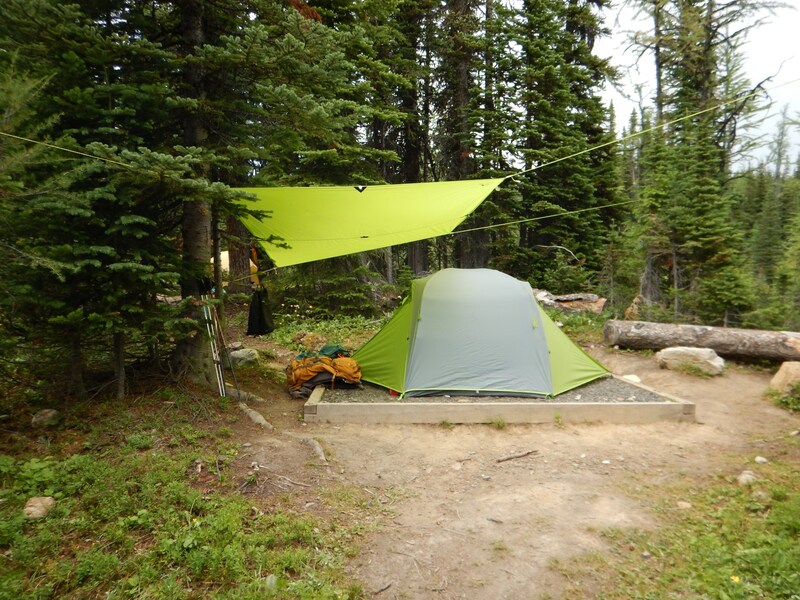 We recently spent five days at Mount Assiniboine Park and experienced some pretty heavy rain and thundershowers and the tent performed admirably. On our last night, however, it was clear and dry and we were able to roll back the fly again and enjoy the night sky clear from any light contamination. I would definitely recommend this tent to anyone shopping for a new one.